Since the launch of Android 9.0 Pie last year, you knew it was only a matter of time before you could run it on Genymotion Cloud. In December last year, we released a new version of our Desktop Android Emulator with Android 9.0 Pie compatibility. 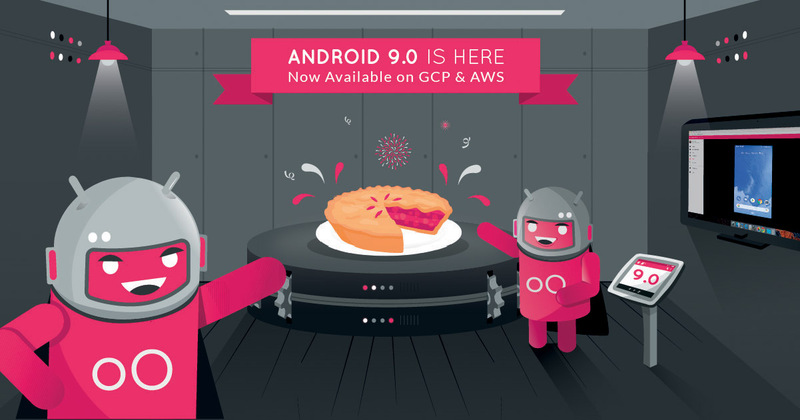 Today, we’re happy to announce that we are releasing Android 9.0 on Genymotion Cloud Paas, available on AWS marketplace, Google Cloud Platform and Alibaba Cloud. This Android version is shipped with Genymotion’s latest version – Genymotion Cloud PaaS v6.0 so that you get a similar product experience across all devices. 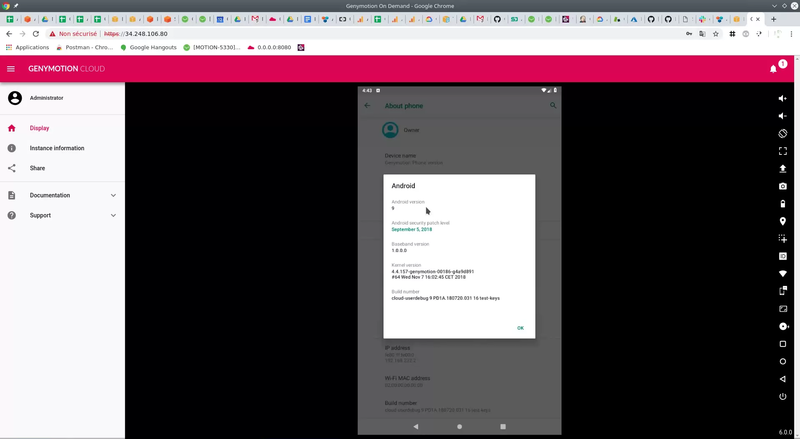 Important: You may notice that Android 9.0 Pie on Genymotion Cloud is a bit slower than the previous versions. We are aware of the problem and are working on a patch to fix and save the ‘Life of Pie’. Enough jokes on Pies, signing out now.